It seems like everything’s online these days. Telephones, cars, airplanes and even wrist watches are all internet enabled. Homes are no exception. 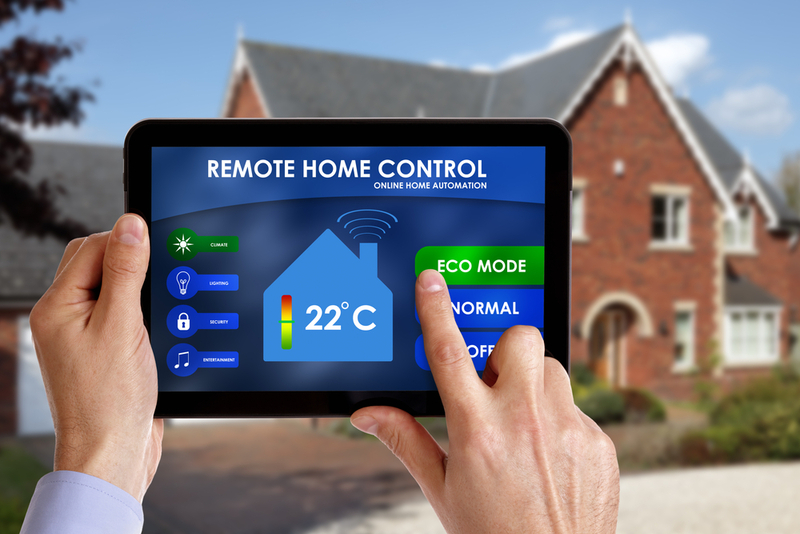 Many homeowners are investing in “smart homes” by installing smart, or WiFi Thermostats. But what exactly is a WiFi thermostat, and are they really worth the hype? In this blog post, we’ll explain what a wifi thermostat is, and how they can benefit homeowners like you. 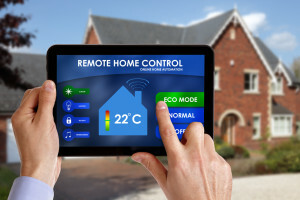 A WiFi thermostat, also known as a smart, wireless, or programmable thermostat, is a thermostat that’s connected to the internet and has special programming capabilities. An internet connection allows homeowners to check their thermostat remotely. This means that you can see and adjust the temperature of your home from anywhere with an internet connection. Special programming features of WiFi thermostats allow homeowners to customize temperature settings throughout the day. For instance, you can program your WiFi thermostat to turn down the heat while you’re at work, and resume a comfortable temperature by the time you arrive home. The automation of settings allows homeowners to customize to their heating and cooling schedule, reducing energy costs when the home is empty. Saving energy is the primary benefit of a WiFi thermostat. All too often, homeowners forget to turn down the heat or air conditioning before they leave for work, or on vacation. This results in wasted energy and higher utility bills. Some WiFi thermostats even show how much you’re spending on heating and cooling, so that you can adjust temperatures to maximize savings. In addition to energy savings, WiFi thermostats are especially useful for snow birds, people who travel for work, and owners of multiple homes. For instance, if you own a cabin in Northern Minnesota with a WiFi thermostat, you could check on the temperature of the cabin remotely to ensure that the cabin is warm enough to avoid frozen pipes, but cool enough to minimize energy use. You could even turn up the heat remotely, so that the cabin would be nice and toasty by the time that you arrived. WiFi thermostats can give homeowners great peace of mind knowing that their air conditioner or furnace is set to the right temperature and functioning properly. There are a number of excellent WiFi thermostats on the market today. Nest, Ecobee and Honeywell are brands that manufacture the most popular WiFi thermostats. The Ray N. Welter Heating Company recommends Honeywell WiFi thermostats because they are the most innovative WiFi thermostat on the market, and the best bang for your buck. Honeywell offers several WiFi thermostats at different price points, the most coveted model being the Prestige HD, which can control humidity and temperature. This thermostat also blends seamlessly with the décor of your home, by changing the screen color to match the color of the wall it’s mounted on. Although some select brands offer self-installation options, the process is usually complicated and requires a few hours of implementation time. Honeywell WiFi thermostats must be professionally installed by a local HVAC contractor like the Ray N. Welter Heating Company in order to fulfill warranty requirements and function properly with your HVAC system. Contact the Ray N. Welter Heating Company today to install a WiFi thermostat, or to learn more about the best WiFi thermostat options for your home and price point.